The Indian women’s team defeated Nepal 3-1 in the final to once again successfully defend their title. 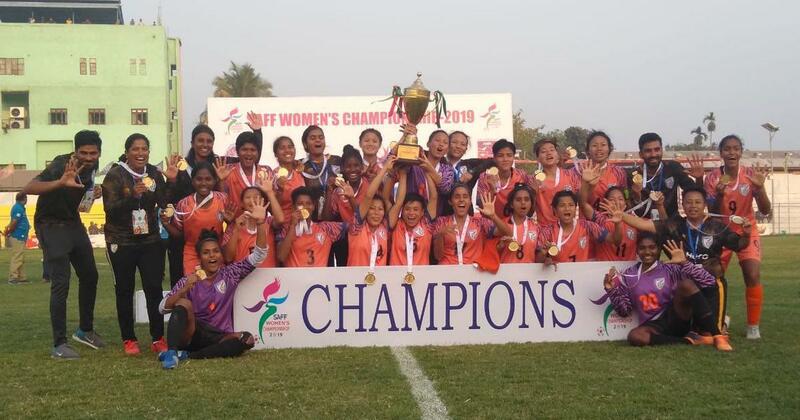 India continued their dominance at the SAFF Women’s Championship, lifting their fifth straight title on Friday in Biratnagar, Nepal with a 3-1 win over the hosts in the final. The win extends India’s unbeaten run in the tournament’s history to 23 games. Goals from Dalima Chhibber, Grace Dangmei and substitute Anju Tamang saw India lift the trophy in front of the home crowd at the Sahid Rangashala Stadium. The pace of the match was intense from the word go, with both sides pressing hard. Dangmei fashioned a couple of early chances down the right wing for India while Nepal registered a couple of shots from distance, with Manjali Kumar testing Indian custodian Aditi Chauhan in the 14th minute. Congratulations to Indian Women's team for winning the SAFF Championship for a record 5th time. In the semifinal against Bangladesh, it was Chhibber who opened the scoring for India and this time around too, it was the right-back who gave India the advantage. In the 26th minute, she smashed the ball past the keeper from a free-kick from 30 yards with a powerful drive and put the defending champions into a 1-0 lead. Ratanbala Devi could have added a second goal six minutes later but her shot from distance was saved by the Nepal goalie. In the 34th minute though, Sabitra equalized for the hosts as she rose high above her marker and headed the ball into the back of the net. The second half began with India creating the majority of the opportunities, with Sanju and Ratanbala putting their respective efforts just over the bar. Nepal were under the cosh and India’s pressure paid off in the 63rd minute after Sanju put Grace through on goal with a through ball. The winger swiftly broke through and showing great composure, she rounded the goalkeeper and slotted the ball home to restore India’s advantage. 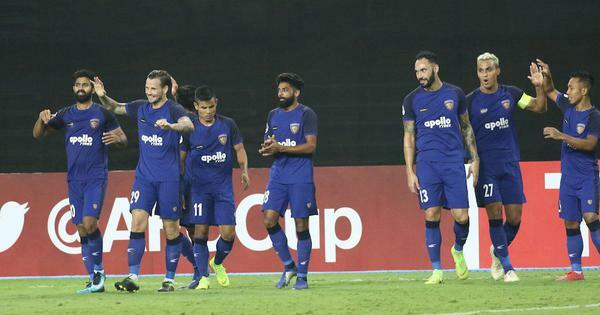 It proved to be the straw that broke the camel’s back as the away side continued to keep the Nepal side at bay and almost added another as Ratanbala’s shot was spilled by the keeper. Towards the end, Nepal threw the kitchen sink at the Indian defence but they visitors stood firm. Sabitra and Renuka Nagarkote threatened to halve the deficit but could not get past Aditi in goal as India romped to a fifth SAFF trophy in a row. India Starting XI: Aditi Chauhan (GK); Jabamani Tudu, Sweety Devi (Ranjana Chanu 90’), Ashalata Devi, Dalima Chhibber; Indumathi Kathiresan, Sangita Basfore, Ratanbala Devi; Sanju, Dangmei Grace, Sandhiya Ranganathan (Anju Tamang 64’).